Portland, Maine- The Portland Sea Dogs have announced that the protective netting at Hadlock Field will be extended for the 2018 season. The netting will now extend to the end of section 114 on the third base side of the field. While on the first base side the net will be angled down in a triangle shape to the end of the dugout in front of section 101. The Sea Dogs will be using the most advanced netting technology available with the Field Green Ultra Cross® Knotless Dyneema® Netting by Promats Athletics. The netting is the first to offer 95% spectator visibility. The knotless net provides optimal visibility to spectators using a green coating over durable black-fiber Dyneema® twine, which serves as a camouflage against the backdrop of the playing field. Additionally, the current backstop netting will be removed and replaced with the Field Green Ultra Cross® Knotless Dyneema® Netting. 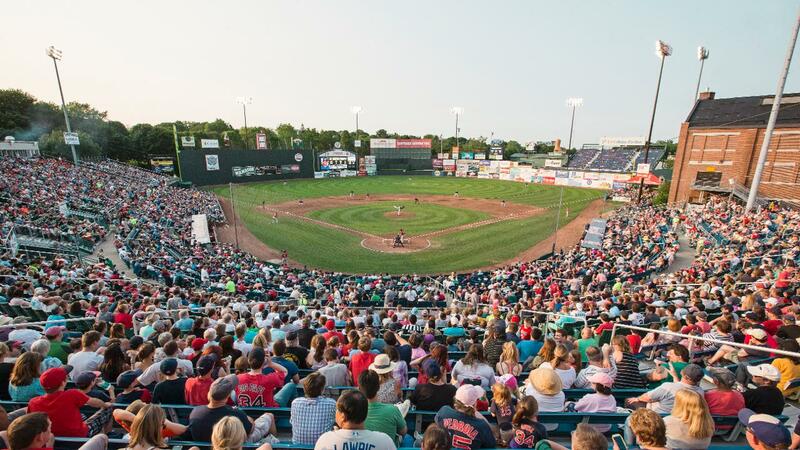 "Fan safety has always been our top priority," stated Sea Dogs Executive Vice President and General Manager Geoff Iacuessa. "This new netting will help protect fans without affecting sightlines and the fun, family, affordable gameday experience that our fans have come to expect." The installation of the netting is being performed by Safe Approach Inc. out of Poland, Maine. The Sea Dogs open the 2018 season on the road on Thursday, April 5th in Binghamton, New York. The home opener for the Sea Dogs 25th season is set for Friday, April 13th at 6:00 PM against the Binghamton Rumble Ponies. Tickets are available for all Sea Dogs' home games. Tickets can be purchased by calling the Sea Dogs ticket office at 207-879-9500 or online at www.seadogs.com.